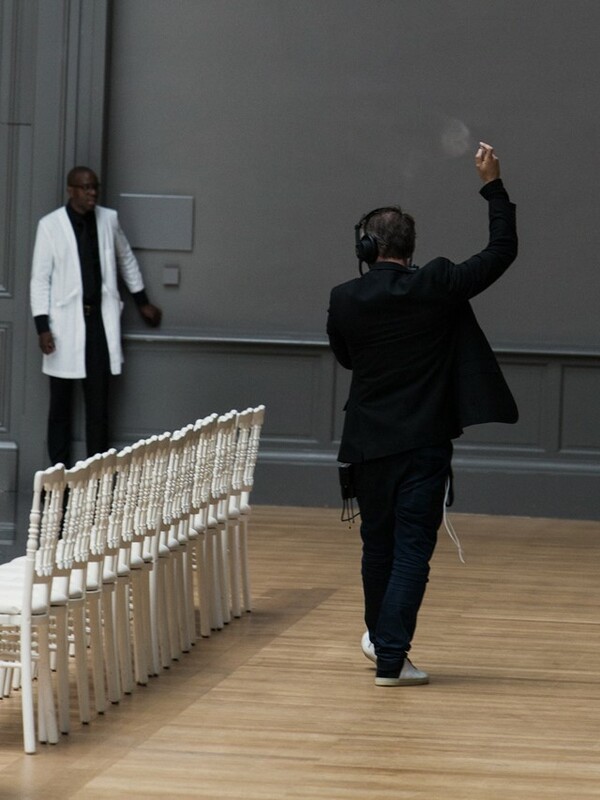 What to make of Galliano’s Low-Tech Margiela? In recent years, the haute couture season has not been the most low-key event on the fashion calendar. This week alone, Chanel installed an entire working casino in the Grand Palais and an all-star cast – Kristen Stewart, Julianne Moore, Geraldine Chaplin, Vanessa Paradis and her daughter Lily Rose, Lara Stone and Stella Tennant – played blackjack centre stage throughout the show. Couturier Karl Lagerfeld later also presented his debut Fendi haute couture fur collection: think jewel-studded astrakhan and more sable than most women would witness in a lifetime, some of it tipped with silver. Dior built a greenhouse in the gardens of the Rodin Museum – as if that venue weren’t grand enough. Donatella Versace placed no less than 25,000 orchids under her Perspex runway. Valentino, meanwhile, defected to Rome, taking some 800 guests as it went to close the season. None of this, it almost goes without saying, is shy. 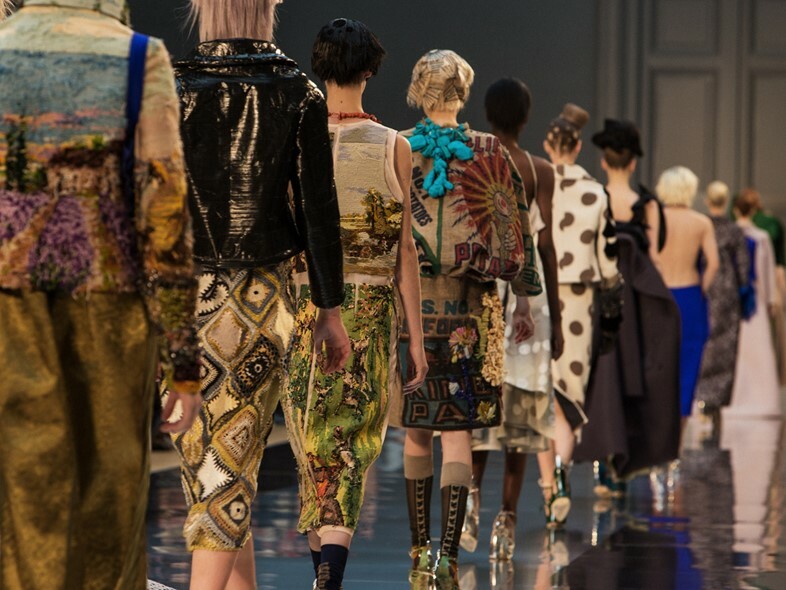 "John Galliano’s Artisanal collection for Maison Margiela seemed positively modest by comparison"
Amid such an awe-inspiring display of bravura, John Galliano’s Artisanal collection for Maison Margiela seemed positively modest by comparison. And that, as anyone with any passing interest in the house in question will know, is appropriate. The Artisanal collection was launched in 2006 by the house’s namesake and comprised found garments re-worked by hand. 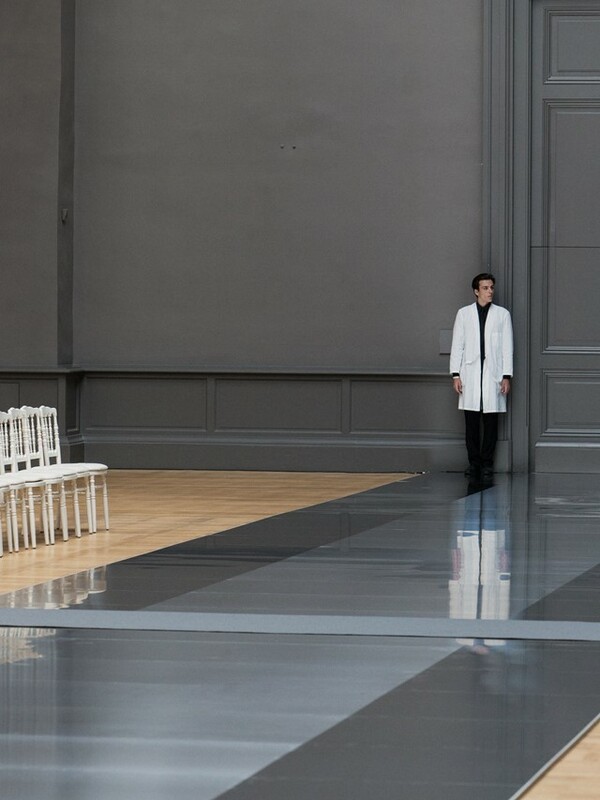 In the early days and beyond, Martin Margiela always introduced that element into his collections. As the label grew, though, it made sense to give it a name and space on the more rarefied couture schedule to allow for the man hours that went into its creation, both in terms of sourcing materials around the world and reinventing them – transforming them into something completely different in fact. 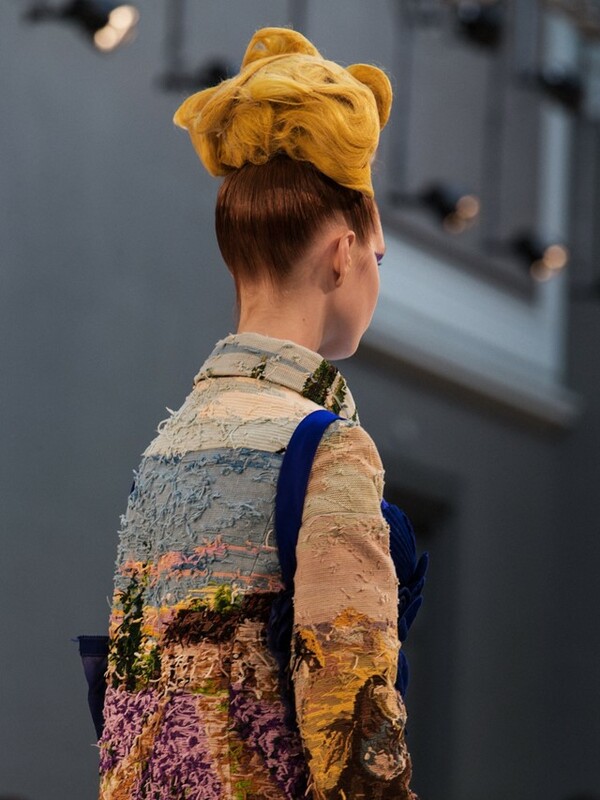 "The Artisanal collection was launched in 2006 by the house’s namesake and comprised found garments re-worked by hand"
Past examples of that process have included a dress made out of vintage leather belts, a tunic constructed out of gold plate rings, a tinsel chubby… The list goes on. And all of these were quite obviously a comment on traditional notions of status as well as objects of beauty in their own, purposefully strange right. Never claiming to be haute couture proper – it is not as expensive and clothes are made in the Maison Margiela atelier without the input of the masterful likes of Lesage, Lemarie, Goosens et al – the Artisanal collection does share the fact that production is strictly limited and it swiftly established itself as a much-welcome moment of understatement in an elsewhere more loud and proud world. Galliano appears to feel that spirit should remain. His debut Maison Margiela Artisanal collection – and his first under the Margiela name – was shown in London last January to no more than 100 people – friends, mainly. This time, and testimony presumably to increased confidence on the part of the designer, it returned to Paris. Galliano, still finding his feet after a four-and-a-half year break, eschewed the pomp and circumstance of his haute couture collections for Dior, however, which, let’s not forget, went some way towards raising the bar in the first place, for an atmosphere and look that he himself describes as low-tech. That went for the venue – a relatively anonymous salon high above the city with nothing much to it save for a raised catwalk. It also applied to the fabrication of garments. In place of the requisite chiffon and Chantilly lace came Chinese mud silks, British tweeds and tapestry canvasses. Tailoring was far from bourgeois. 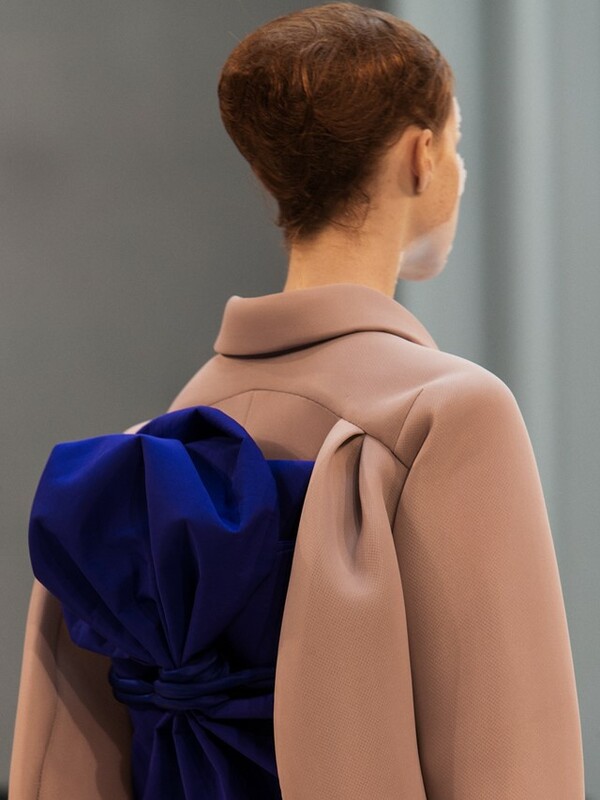 Instead – and in line with the early codes of both Galliano and Margiela – it was disrupted or deconstructed throughout: a puff of volume at the back of a jacket; an ankle-length coat that, in more conservative hands, would have been cut close to the torso but in this instance stood away from it looking more than a little awkward. As for the elaborate surface detail, that is so much a part of the French haute couture tradition, that was taken apart also. Crystal embroideries and metal thread were replaced by cracked mirror cut into flowers and what the powers that be at the house described as "sheaves of wheat, ginger root and olives". "The show notes spoke of an ‘accidental and unconscious glamour’ and that sums it up neatly"
The show notes spoke of an "accidental and unconscious glamour" and that sums it up neatly. Still, this collection was a profound expression of artistry. The essence of haute couture – where each garment is cut, sewn, embroidered and fitted entirely by hand – is to create pieces made with emotion and love, designed to fit the very few women who are prepared to invest in it. It therefore becomes part of her, a study of character in clothing, best treasured and passed down through generations, like precious heirlooms. And John Galliano, who presided over some of the most extraordinary couture collections in history in his former incarnation, understands that well. And so, no two looks were remotely the same. Hair and make-up, equally, was tweaked and adapted to the individual exit and the model wearing it, from starbusts of bobby grips to coin dots extending from garments onto skin. 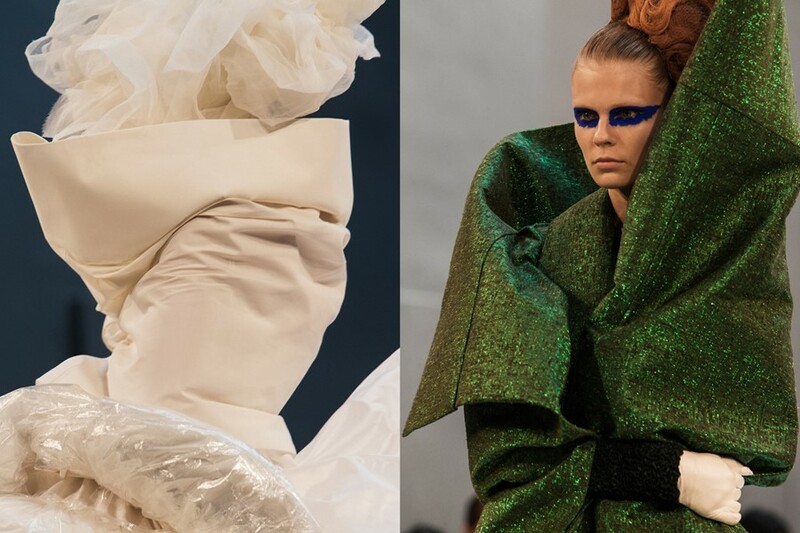 "Galliano is that increasingly rare thing, a designer’s designer – as, of course, was Margiela in his time"
Perhaps most importantly Galliano is that increasingly rare thing, a designer’s designer – as, of course, was Margiela in his time. He ultimately functioned as a creative director at Dior, overseeing upwards of 30 collections and a globally recognized and revered brand. That is an enviable position but, given the workload, it was not always possible for him to lay hands on cloth. And that is not where he started. The pure pleasure Galliano derives from making lovely and powerfully inventive garments, was always the driving force and, for the time being at least, that seems to be the over-riding story once more.